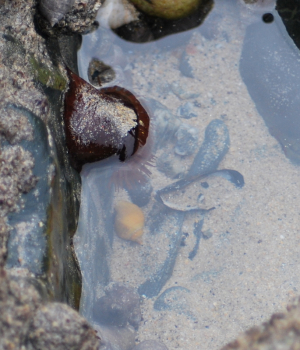 Observation - Strawberry anemone (Actinia fragacea) - UK and Ireland. Description: white spots on the trunk of this red anemone. Found in the rock pools at Gwithian beach. white spots on the trunk of this red anemone. Found in the rock pools at Gwithian beach.